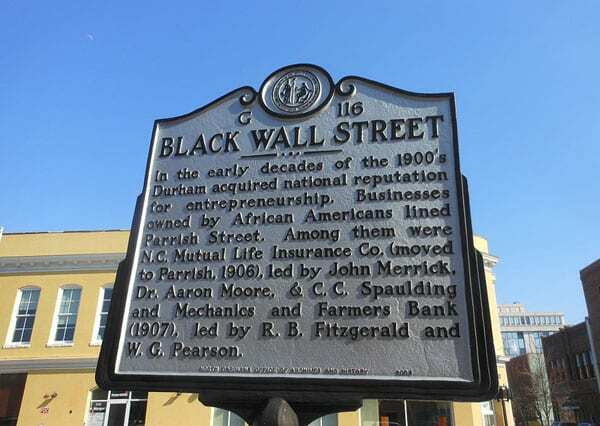 As Sandra Larson writes in Next City, Durham, North Carolina was once home to many “Black-owned financial institutions and businesses that sprang up around Parrish Street during the Jim Crow era.” This included firms such as Mechanics and Farmers Bank and North Carolina Mutual Life Insurance Company. But, as in many cities, highway construction in the 1960s led to the Black business district’s demise. That said, Durham, a city of 311,000 people which is about 38 percent Black, still boasts a large number of Black-owned businesses. Now, the city is looking to employee ownership as a possible strategy for preserving Black-owned companies for the next generation. Durham, is one of four cities selected for the inaugural cohort, along with Atlanta, Miami (which NPQ recently profiled), and Philadelphia. Each SEED city includes three fellows from city departments and a community fellow. Durham’s community fellow is LaTasha Best-Gaddy, a business counselor with the Small Business and Technology Development Center at North Carolina Central University, a historically black college. The fellowship, notes DAWI Executive Director Melissa Hoover, aims to promote peer-to-peer learning, with fellows traveling to each other’s cities to share ideas and best practices and learn from an advisory panel made up of community stakeholders and local and outside experts. As NPQ has covered, passage last August by Congress of the Main Street Employee Ownership Act makes employee purchases of firms eligible for Small Business Administration (SBA)-guaranteed loans of up to $5 million, which could facilitate ownership transition. But it requires willing owners and willing employee buyers to make that work.